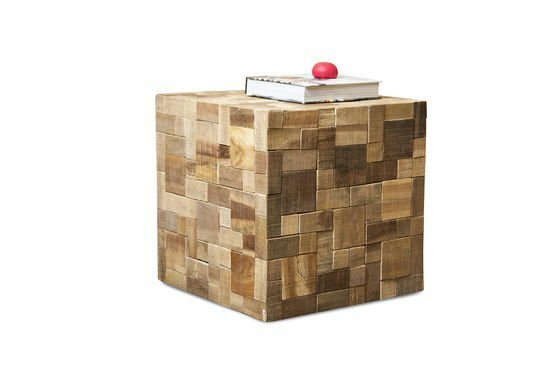 The table Rubique is an extraordinary, cubical piece of furniture that will add much originality and, at the same time, discreet style to your interior. 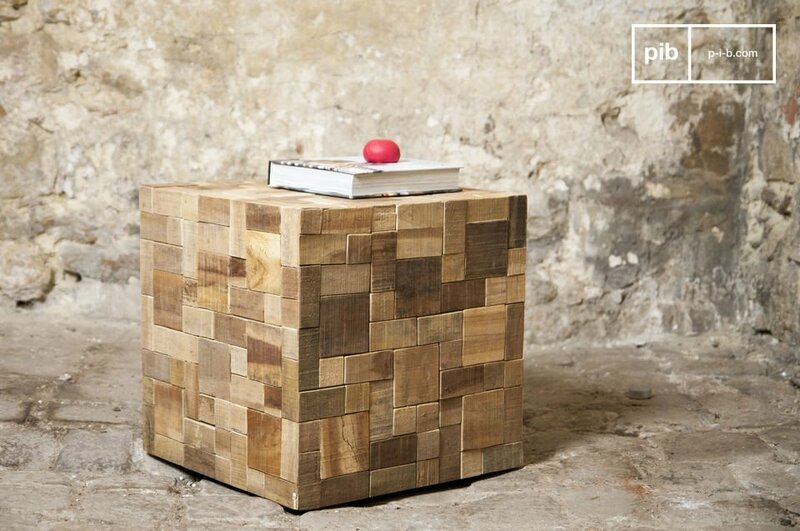 This cube consists of many small wooden cubes, which have been linked with each other to form a large piece. 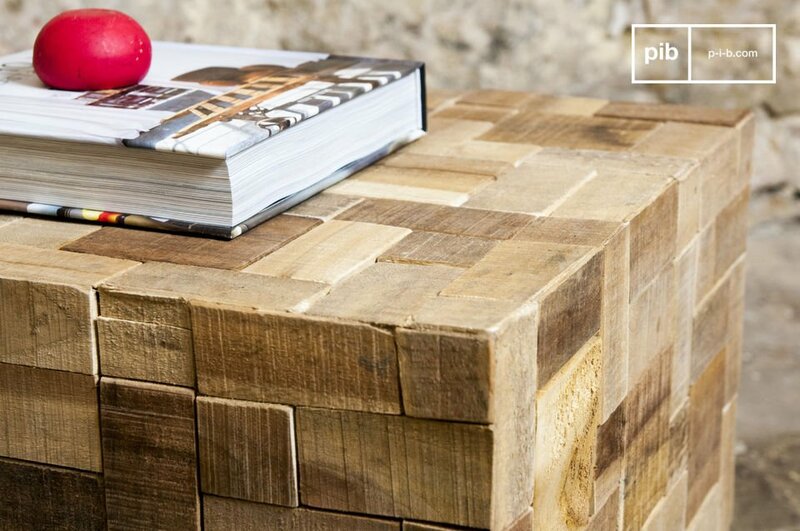 The table Rubique is made of recycled wood, which is in parts teak and acacia wood. 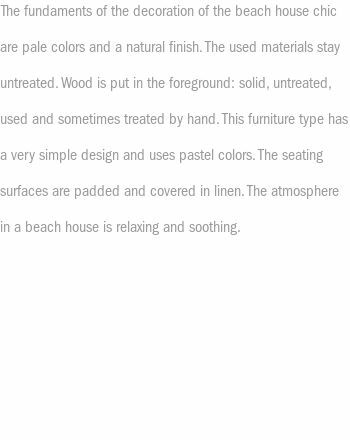 The raw finish creates a table with natural character. This shabby chic side table is a very versatile furniture piece that offers a range of applications. Next to a coffee table it can be used as a stool. Next to a sofa it presents the perfect side table and in the bedroom it will be a great shabby chic bedside table. Each side of the cube is 40 cm long and can be rotated in every direction.